Disclosure: Some affiliate links included. 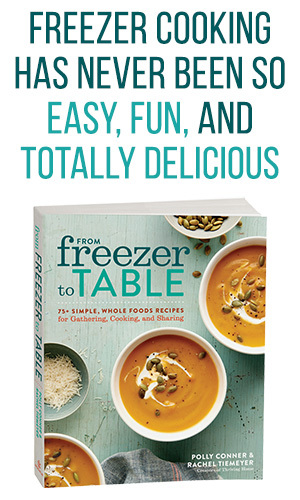 When you purchase through these links, you support our blog. Thank you! 1 – The stories are God-centered, which from my experience is hard to find. In Read Aloud Bible Stories , like the Bible itself, God is the hero not the people. The main point of the David and Goliath story, for instance, is that God helped David, NOT that David is courageous. 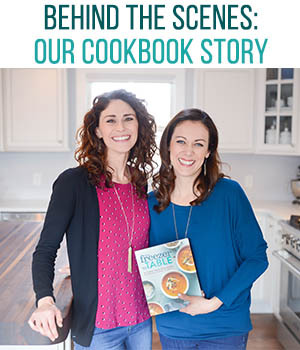 Then, at the end of each narrative is a helpful page titled “What did you learn?” It states a few brief God-centered points in order to promote discussion with your child. 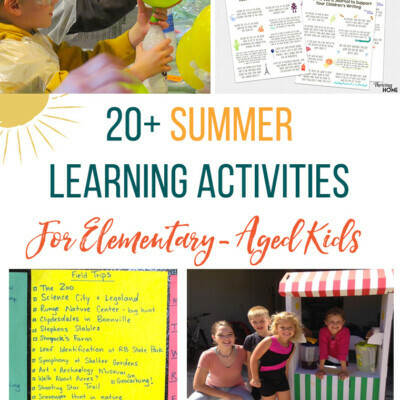 2 – The author clearly understands what it takes to help young children engage in a story. Lindvall has the gift of reducing complicated Bible concepts down to simple ones while remaining faithful to the original text. She also utilizes a few literary techniques like onomatopoeia (i.e. “splash, splash” or “step, step, step, step”) and simple repetition to draw kids into the story. 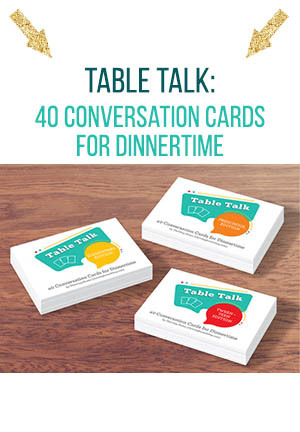 My toddler and preschooler both love to hit the kitchen table in unison when they hear the “CRASH! BANG!” of Jericho’s wall falling in the story of Joshua. And, one of my favorite uses of repetition is in the story of Joseph. The memorable and God-centered phrase “Was Joseph happy? No, but God was there. And God helped him” is used again and again. 3 – The illustrations by H. Kent Puckett capture the attention of my young kids as we read together before bed. With large pages full of colorful and simple images, the kids’ eyes are glued to what is happening in the story. Why read Bibles stories like these to our kids from a young age anyway? They expect that reading the Bible is a part of their day and ask for it if we forget. This is setting the stage for them to independently read God’s Word by themselves as they mature. Our kids have a longer attention span to sit and read than I think I ever did at their age. This is preparing them to focus long enough to actually sit down and read the Bible later in life. So many of us have ADD, including me, when it comes to studying and reflecting on God’s Word. It’s important that we help our children learn to sit and listen to, age-appropriately discuss, and pray over what they read in the Bible from their earliest years. This requires practice and consistency. They already understand the main storyline of the Bible, can articulate the Gospel, and ask questions about God that floor me. They are light years ahead of where Nathan and I were in our understanding of the Bible even as teens for sure! I realize this list is not necessarily indicative of the path our children will choose in life, but I trust that the Lord’s command in Deuteronomy 6 to all Christian parents is there for a reason. If we, as parents, are faithful to read God’s Word to and talk about it with our kids, as well as strive to live it out (imperfectly and only by God’s grace, I might add), there will be blessings for the family. We rotate through a few different children’s Bibles with our kids, depending on their age. I find it’s good to have several different kinds of these books to read from since each one has a slightly different emphasis or way of telling the story. It provides variety for the kids and a fresh way to hear different Bible stories. In addition to Read Aloud Bible Stories , here are some of our other favorite children’s Bible story books that we go back to again and again. I did my best to estimate the appropriate age for each one. 1 – The Rhyme Bible Storybook for Toddlers – For ages: infants through age 2. This small book has a simple, one page rhyming story and picture for each one. It’s a perfect Bible for young kids with a short attention span. 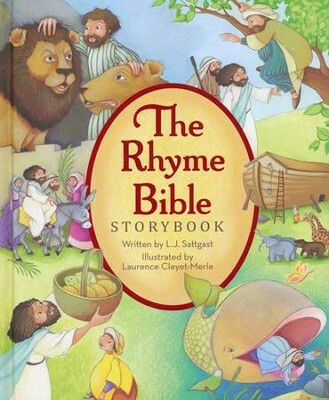 2 – The Rhyme Bible Storybook – For ages: 1-5. The beauty of this Bible for kids is that our children memorized many of the stories and help us retell them because of the clever rhyming patterns. 3 – The Big Picture Story Bible (plus audio CDs) – For ages: 2-7. This has been my kids’ go-to Bible for the past year. They have learned so much from it. 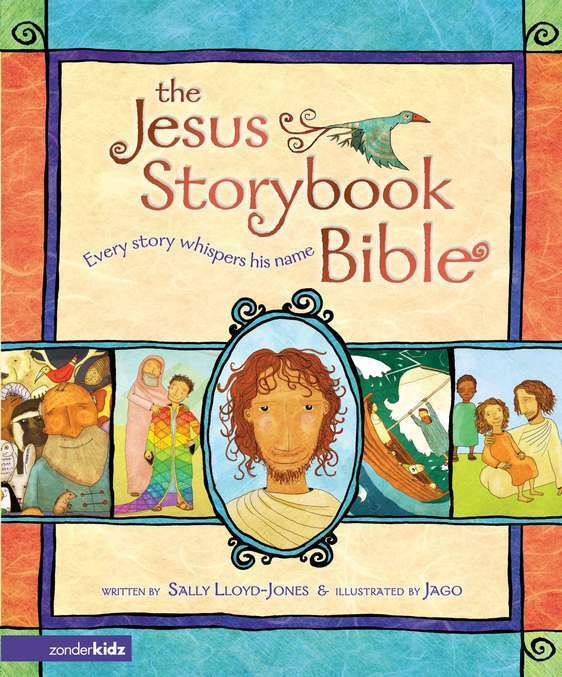 The advantages of this one are that it comes with 2 audio CDs of the author reading the stories, it emphasizes the Bible has one big story with Jesus at the center, and the stories have depth but are simple enough for preschoolers. 4 – The Jesus Storybook Bible – For ages: 3-8. I’ll never get tired of recommending this Bible for kids. This children’s Bible is a beautiful narrative that helps families understand God’s love for his people and how Jesus–God’s greatest gift to us–is at the center of every story. My husband and I often tear up while reading it and quote it to each other at times because it is so moving. The illustrations are interesting and well-done, too. 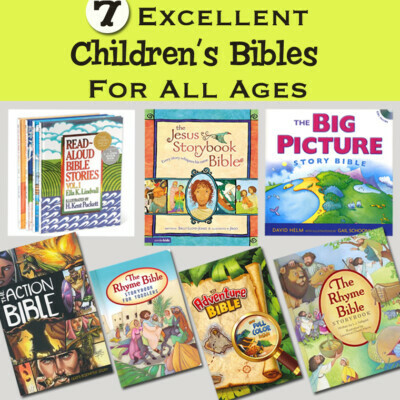 The stories are longer than the other Bible story books previously mentioned, but we’ve found that at about age 3 or 4 our kids were able to sit through these stories and is appropriate up to about 2nd grade. 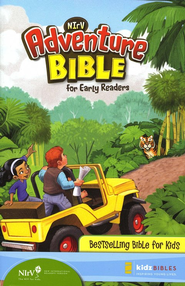 5 – Adventure Bible for Early Readers, NIrV – For ages: young elementary-aged kids. We haven’t begun reading this NIrV Bible to our non-readers yet, but many families at our church use this version of the Bible for their young elementary-aged kids. The elementary curriculum-writing team I’m on at our church use the NIrV Adventure Bible in all our lessons and classrooms for elementary kids. What is your family’s favorite Bible or story book for kids? Thanks for the recommendation. No children’s Bible is perfect for sure. That’s why I think it’s important to have a variety of them to tell the story to young children from different angles and then switch over to the real deal when your child is ready. Do you have any specific examples of the creative license gone too far in the JSBB? Just wondering where you thought it was off base? 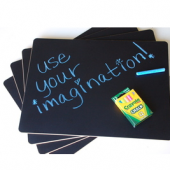 Pingback: What “Teaching Method” is Best for Spiritual Growth in Our Kids? 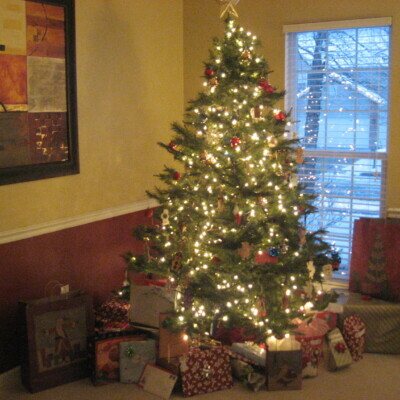 Thanks for this – a friend gave us the Jesus Storybook Bible, and we’re excited to read it to our baby when he arrives. 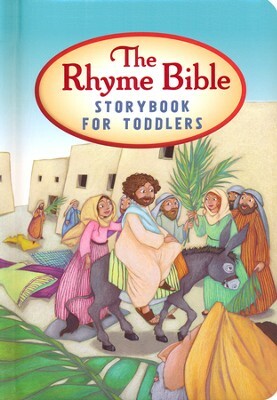 After reading your post, I also ordered the Rhyme Bible for Toddlers. 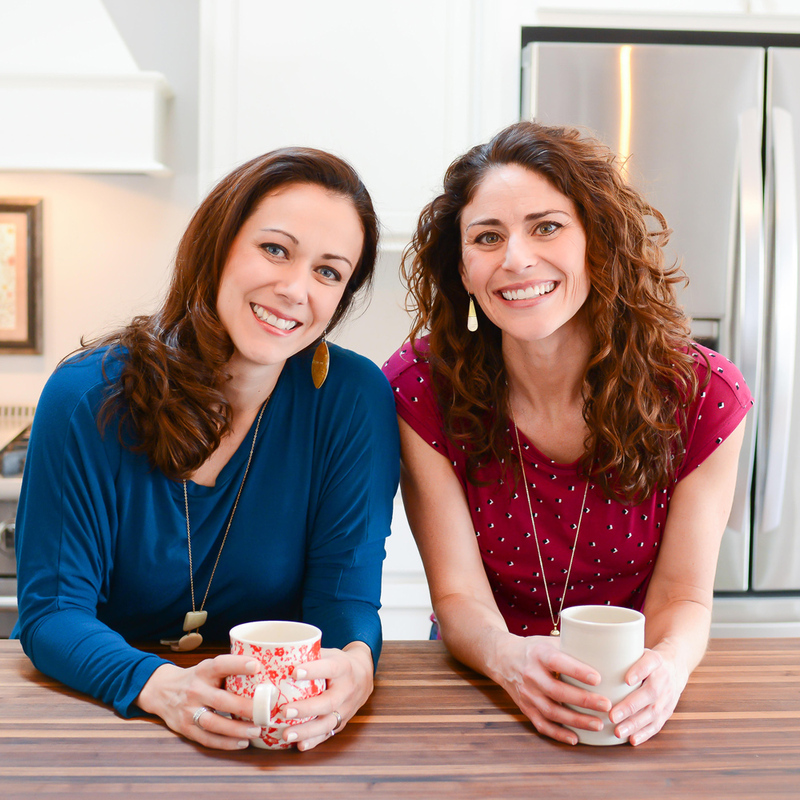 Great blog, Polly and Rachel! Ashley, congratulations on expecting! You’ve already got a great jump start on being a great parent! It’s amazing to me how much small kids can pick up on and understand from such an early age. My kids remember so much of what we read and relate it to their daily lives and even incorporate it in their prayers. 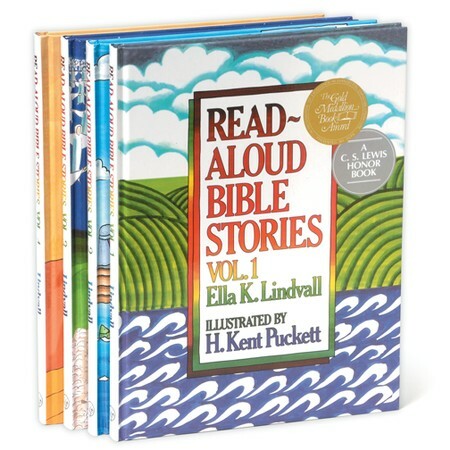 We just added the Gospel Storybook Bible (http://gospelstoryforkids.com/) to our collection of read aloud bibles and LOVE it. It contains 156 stories, which is more than any other children’s read aloud Bible that we own. It really appreciate that it directly quotes from scripture and includes the scripture references. 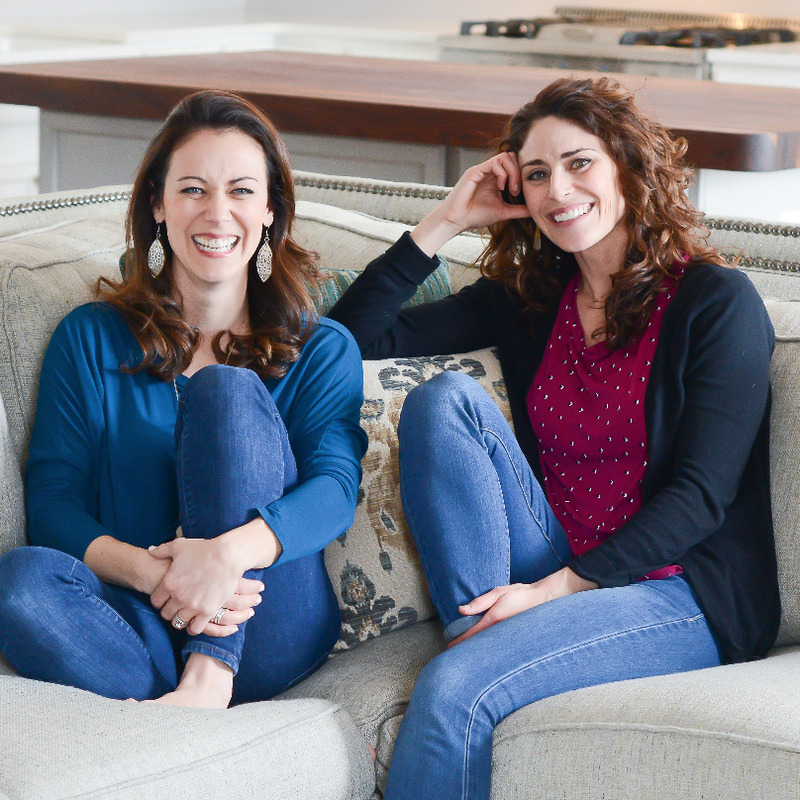 Each story has a beautiful illustration and three simple discussion questions to help you to connect to your kids on the story. This would be a great one to add! Thanks for pointing this out, Kelsea. I’ve heard great things about the Gospel Storybook Bible but haven’t had a chance to check it out yet. I love that it includes more stories and the scripture references. The only downside to the Jesus Storybook Bible, in my opinion, is that it’s not longer…so this sounds like it would hit on more of the stories we’re missing. We have and LOVE the Jesus Storybook Bible. LOVE it!